​What are the dentist's options? As physicians with extensive experience in pediatric anesthesia, we know that a detailed care plan is critical. We work closely with dentists, pediatricians, and parents to develop a perfect care plan tailored to each child. Perhaps a child has anxiety and needs anxiolytic pre-medication. Maybe a child is afraid of needles and wants to go to sleep with laughing gas and an inhalation agent like Sevoflurane. Even if a child can tolerate awake placement of an IV, he or she may benefit from the perfect mixture of medications to ensure a smooth and painless recovery. We work as a team and will make sure that everyone, including the parents, the dentist and the patient, are comfortable. Some cases may be safely done with a child breathing supplemental oxygen while deeply sedated. Depending on your surgical needs, general anesthesia utilizing a nasal intubation might be preferred. We understand that every child is unique and we are comfortable tailoring the anesthesia accordingly. Most common approach in adults and older children. Typically done by the dentist alone. May not be very effective in young children. They will not or cannot cooperate and hold still. They are too young to understand what is happening and may become extremely frightened or be traumatized. Local numbing medication may lead to severe, post-procedure chewing injuries to the lips, buccal mucosa, and tongue. Requires special equipment, training on the part of the dentist, and a dedicated assistant to monitor vitals and sedation while the dentist is focused on the procedure. Only 4% of dentists nationally perform IV sedation in the office. More dangerous in young children, those with medical conditions, or in the hands of an inexperienced practitioner. May not provide sufficient anesthesia for long or complex procedures, and the child may feel pain or may remember the events. Several options depending on the needs of the dentist and the patient's health history. Patient is still breathing on his or her own but is deeply asleep. The patient will not feel any pain and will not remember the procedure. Post-op recovery is faster without intubation, and the patient will not have a sore throat. Patient is intubated using a special pediatric nasal airway. This tube can be used to protect the airway from secretions during long procedures. The tube is placed after the patient is already asleep and is removed before the child awakens. Patients often experience a mild sore throat after the procedure due to the mild irritation from this endotracheal tube. The patient is deeply asleep and ventilation may be assisted manually or by machine. Patient will not feel any pain and will not remember the procedure. We are not currently in network with the majority of Georgia insurance plans. While medical insurance will often cover anesthesia for dental surgery in children, this is typically an out of network benefit. 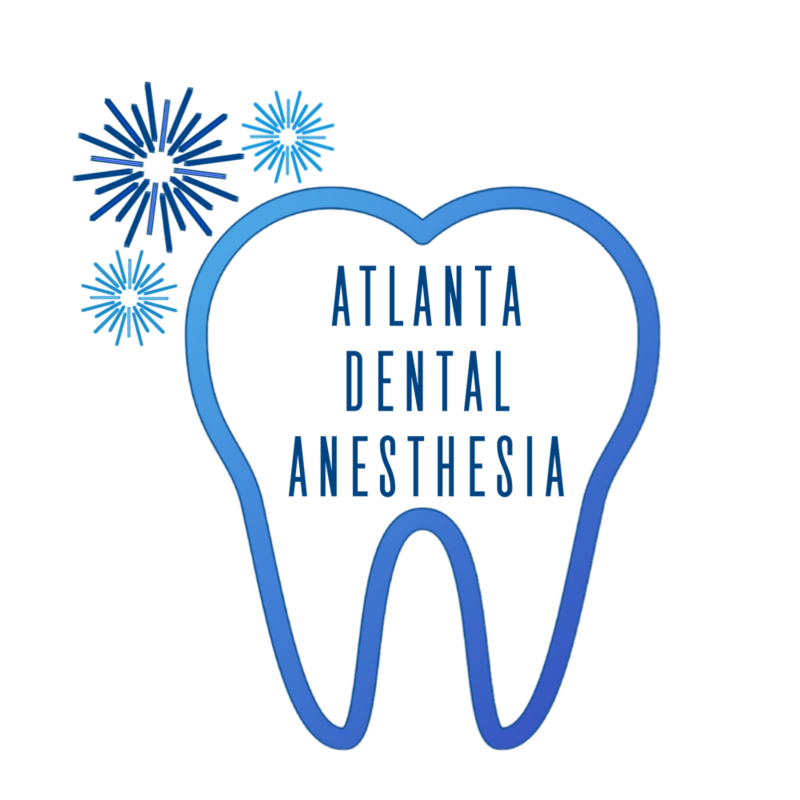 The cost of anesthesia for the dental surgery is strictly determined by duration of the procedure. We will give your office an estimated cost based on anticipated duration of the surgery and recovery, and will stand by this estimate even if the procedure takes longer than expected. This is our guarantee to you. We believe in helping our patients throughout the entire episode of care. For us, care begins the minute you pick up the phone, send us an email, or schedule a case. We are committed to helping parents understand their medical coverage to ensure they receive the maximum benefits. Prior to the procedure the patient will have preauthorization and the parents will know the total cost of anesthesia treatment. Parents will have an estimate from the insurance company for how much to expect in reimbursement. Parents may then pay us by cash, check, credit card, or Care Credit plan before the day of the procedure. At the conclusion of the case, we will provide them with all the documentation to send to the insurance company for reimbursement. We can often interface with the insurance systems electronically to facilitate this process. And we will keep a backup of all the necessary records in the event the insurer has any delayed questions about a claim.